The City of Colorado Springs faces more than half a billion dollars in stormwater infrastructure project backlogs and legal action by the U.S. Department of Justice for MS4 Permit and Clean Water Act violations. Sales tax revenue volatility and post-recession budget cuts to various city departments have hampered the city’s ability to appropriately protect, develop, and manage the watercourses within the portions of Fountain Creek Watershed the city occupies. The Colorado Springs Chamber and Economic Development Corporation retained ICS to assess needs and recommend a course for reorienting around long-term water management strategies. Recommendations include: (1) using the city’s 2016-2017 master planning process to integrate land use planning around water management objectives; (2) developing two GIS tools to guide land use planning and fiscal decision-making—a watershed atlas to highlight basin-wide issues and opportunities at the HUC 12 scale, and exploratory scenario models to guide new development in undeveloped areas of the city; and (3) Increasing the efficacy of NGOs operating in the watershed. Frost Livestock Company retained ICS to manage two corporate-succession-planning endeavors. The endeavors are designed to facilitate a shareholder buyout, consolidate company interests, and increase company revenues. The first endeavor involves the pursuit of venture capital. The second focuses on launching new ranch enterprises. The overarching goal is to facilitate a transfer of shareholder interests without having to subdivide portions of the ranch, thereby keeping the historic agricultural operations whole. Increasing profitability for the next generation of family ranchers is also critical in this growing family setting. ICS created capital acquisition and new enterprise development strategies to support these goals. It helped the company launch its first subsidiary enterprise, a private sportsmen club, in September 2017, which offset all business development, legal, consulting, and management expenses with substantive first-year revenues. Activities associated with this project are ongoing. To read more about the sportsmen club and meet the next generation of Frost ranchers, click here. 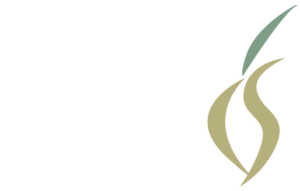 The Gates Family Foundation is a leading philanthropic investor in Colorado’s natural resources, education, and community development fields. The foundation retained ICS to assist with the development of its five-year strategic plan. ICS conducted an assessment of Gates’ natural resources and community development program work, analyzing investment strategies and past work with partners, state and national opinion leaders, and grantees. Surveys, interviews, and qualitative/quantitative analyses resulted in a set of recommendations to shape the foundation’s operations and investments strategies moving forward. ICS’s final report emphasized tactical approaches to accelerate the foundation’s trajectory of increasingly impactful funder-initiated-grant-making efforts, and made recommendations for expanding emerging investment areas, such as program-related investments. The Lincoln Institute of Land Policy (LILP) and the Sonoran Institute (SI) commissioned ICS to guide the launch of a new water center and a cooperative, joint-venture program in the Colorado River Basin. 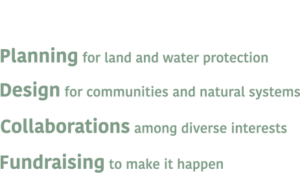 The strategic framing effort resulted in the launch of Lincoln Institute’s Babbitt Center for Land and Water Policy (a global think tank dedicated to helping communities around the world better integrate land use and water management) and a new LILP/SI joint venture—Resilient Communities and Watersheds (focused on integrating land use and water policy in the Colorado River Basin). ICS engaged the West’s largest water utilities, state and national environmental groups, planners, and water and land use policy experts working in the seven Colorado River Basin Compact states and Mexico in the planning process. It hosted representatives from these groups at the 2016 American Planning Association Conference in Phoenix, Arizona, and it provided a strategic framework for moving the new center and joint program forward. The final ICS report included a catalogue of 144 potential partner organizations, tools, case studies, and best practices drawn from the interviews. 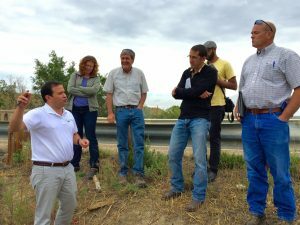 In a year-long effort, ICS helped The Nature Conservancy (TNC) cultivate opportunities to improve urban water management practices across the greater Colorado Springs metropolitan region and accelerate watershed restoration efforts in and around southern Colorado’s Fountain Creek Basin. The final ICS report, Natural Solutions for a Communally Vibrant, Ecologically Resilient Fountain Creek: A Strategic Framework and Opportunities Analysis, outlines three areas of TNC engagement: (1) forest health, fire mitigation, and water security management in the upper watershed; (2) green infrastructure development backed by innovative conservation financing in the urban core, and (3) new scientific studies, tools, and planning efforts to guide regional decision making. The report showcases prototype projects for each TNC engagement area, provides examples of comparable TNC work from across the country, and presents a summary of new GIS analyses to inform forest restoration and green infrastructure development objectives. The Bessemer Ditch irrigates approximately 18,000 acres of nationally significant farmland in Pueblo County, Colorado. A municipal water acquisition by the City of Pueblo’s water utility will fallow enough farms under anticipated dry-up scenarios to create significant economic, environmental, and land use challenges for farm communities. Rocky Mountain Farmers Union commissioned ICS to highlight pathways to retain a resilient agricultural base while guaranteeing the City of Pueblo its anticipated yield. ICS—leading a project team that included GeoAdaptive, LLC; Sourav K. Biswas; Lyons Gaddis Attorneys & Counselors; McCarty Land & Water Valuation, Inc.; and Palmer Land Trust—employed a collective impact approach to address the issue. The findings, published in ICS’s Navigating the Wake of Municipal Water Sales report, resulted in significant changes to Pueblo’s Water Court change case application and created a roadmap for better transfer management that can improve land use and environmental conditions while advancing water management practices that benefit farms and cities.